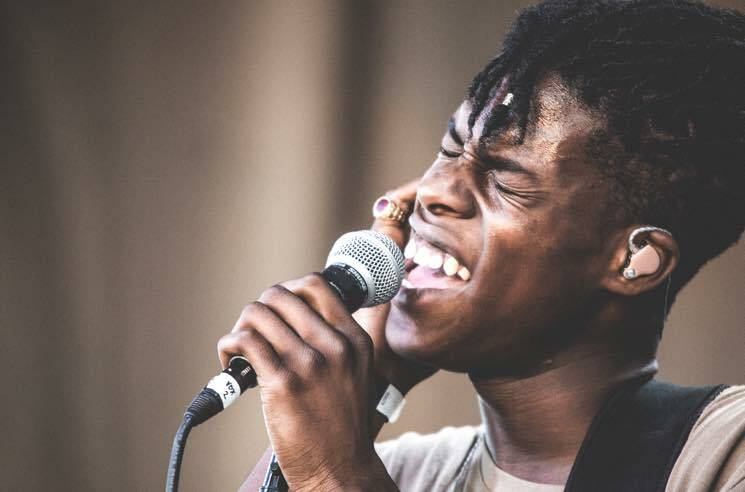 Big things could be in store for young Daniel Caesar, whose critically acclaimed Pilgrim's Paradise record was just named to the Polaris Music Prize's long list. Live, the Toronto soul singer's wonderful voice rang delicate through the warmth of his five-piece band. Caesar doesn't have enough shows under his belt yet to own the stage with authority, but with the right song, like "Death & Taxes," there's a sense you're getting an early look at a guy who could develop into the next Frank Ocean. Caesar's set time sandwiched him between the rowdy aggression of Ghostface and Schoolboy Q, making for a rather jarring shift in mood and style. It was so chill that if there had been lawn chairs nearby, onlookers would have happily taken a seat. Nevertheless, there was something poetic about getting acquainted with the humble, endearing talent for 40 minutes as the sun slipped down and the moon popped up over Lake Ontario. It was a set made for sunset.